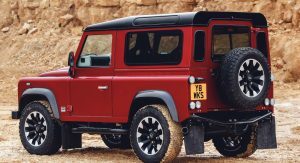 The Land Rover Defender is, along with Merc’s G-Wagen, one of the two most iconic 4x4s ever. 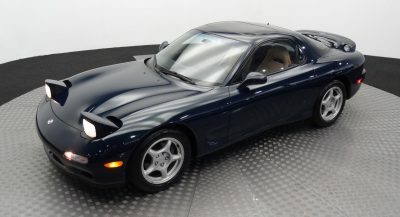 However, despite its cult car status, it has gotten really old and the automaker struggled to sell about 20,000 units annually before closing down the assembly line. 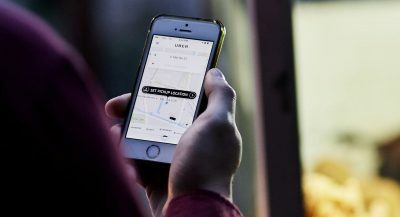 That’s expected to change when the new generation arrives, as Land Rover estimates it will shift some 100,000 units annually. 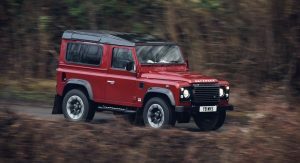 The Defender is in for a total makeover, which will not only bring a new platform, engines, interior and state-of-the-art technologies, but also a new design. 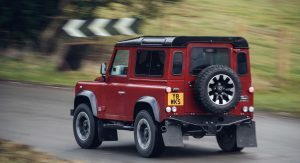 Speaking to Ralf Speth, JLR’s CEO, CarAdvice has learned that the trademark boxy looks might not be adopted for its successor. The classic design with a few nips and tucks has worked like a charm for the new generation Mercedes-Benz G-Class. 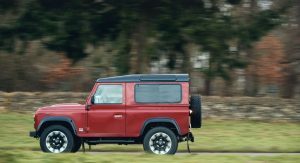 The German SUV is basically all-new and remains one of the most sought after vehicles in class without straying too much from the original’s design, yet JLR might choose to eschew this recipe. 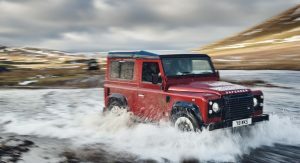 Previous reports claimed that, like its predecessor, the next-gen Defender will be offered in different flavors. 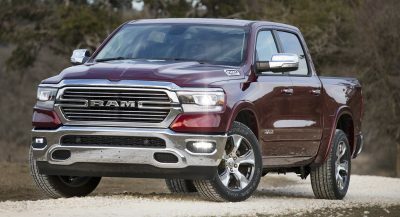 The range should include two wheelbase lengths and several versions ranging from the utilitarian to the luxurious, and will probably count a pickup truck as well. 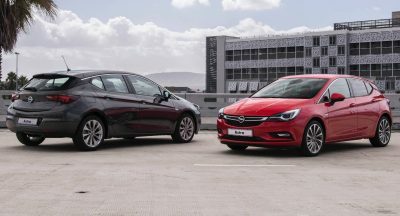 Expect mild-hybrid and plug-in hybrid powertrains to make their way into the upcoming SUV, in addition to a number of straight-six engines with different outputs. 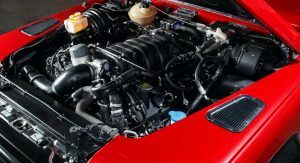 However, there won’t be any V8s, as JLR is ditching this architecture in favor of downsizing. I get they want to move forward, but considering how it’s such an iconic design, getting rid of the boxy design will be a bad idea. You’re pretty much taking away the Defender’s identity. 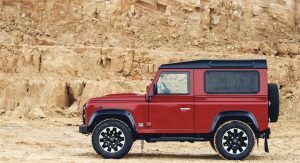 If Land Rover does decide on a new design that shares little with its predecessor they might as well call it something else. This is like telling the world “It’s time to change the shape of the 911!”. 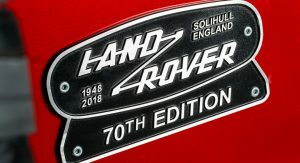 With how quickly modern JLR designs age, this is not good news. We’ve already seen the disguised prototypes running around. It’s still very much a boxy, retro design. 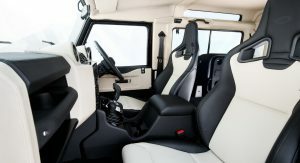 The prototype looks like old Discovery rather than modern Defender. From the prototypes it looks like they’re bringing back the Discovery 3 aesthetic. Never got adjusted to the new Ford Explorer, just looks like a giant soccer mom CUV. 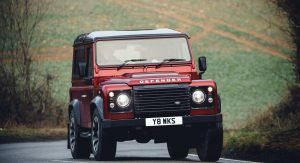 You kill boxy, you kill Land Rover. 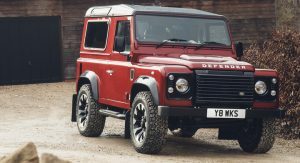 I really think that ditching boxy Defender style wouldn’t be a good move. 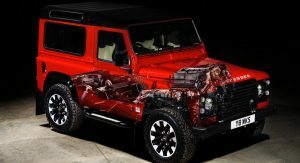 We see how G-Class remains a success with design that looks like it’s predecessors and Jimny for returning into retro style looks. There is a huge debate whether this is just hacked mule or the actual styling. I hope the former really. 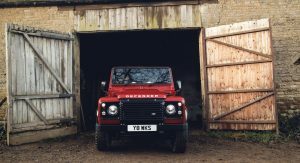 You say “one of the two most iconic 4x4s ever” – seriously! 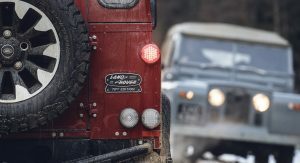 Sure, those two are iconic but you don’t include the Jeep Wrangler, descendent of the original Jeep, and the vehicle that Land-Rover copied, and outsold the Defender by a ratio of something like 10-to-1 ? love it as it is! 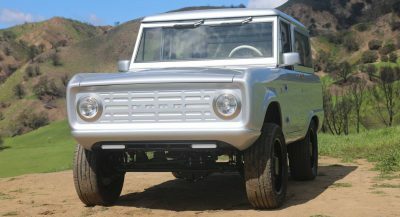 I dream of the day of owning a Defender 110, but that will never happen since 80’s models in the US are going for $150,000. WTF?! 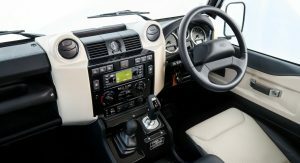 UK citizens laugh at how much we love these uncomfortable and unreliable trucks, but the prices over here are simply ridiculous. It makes no sense that I can purchase a BRAND NEW Porsche 911 for less. So make it look like just another Land Rover then. That would be very disappointing but a typically risk averse approach. Agreed 100%. Mercedes (despite ALL their stupid flaws lately) NAILED the new G-Wagen by simply modernizing what needed to be updated and KEEPING that iconic design. Kudos to them for doing that. Previous PostPrevious Ford Is The First Automaker To Test Autonomous Cars In Washington, D.C.